Here is Roller Cone Bit Wholesaler talking about How To Change The Drill Bit. 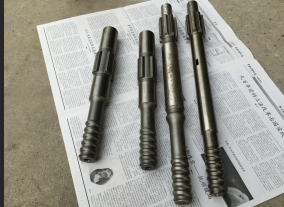 If you have any idea about Roller Cone Bit, welcome to contact us and discuss. An electric drill is a drilling machine that uses electric power to drive. During the process of use, the drill bit is often replaced by different objects. How to install and replace it? Introduce two very simple methods. Method 1: Hold the small black circle of the drill bit in one hand, and grasp the larger one on the other hand and screw it in the opposite direction to clamp or loosen the drill bit. The black round button on the handle is protected. The one inside is used to adjust the speed. Method 2: Remove the drill bit: Place the impact drill on the ground (the drill bit is facing upwards), press the plastic ring around the root of the drill bit with your left hand, hold the drill bit with your right hand, and lift it when you lift it. Install the drill bit: Or stand up the impact drill, press the plastic ring with your left hand down, and rotate the right hand with the drill bit to insert it.